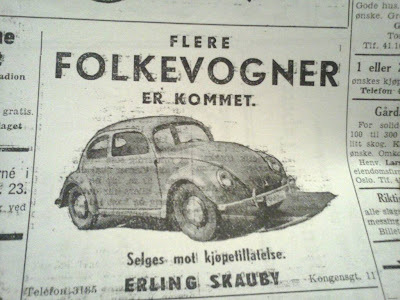 Years ago, when I had time to travel all over the place looking for VW treasures, I came across this add in a norwegian newspaper. Quality is poor because of a crappy xerox.. I wish i had taken a photo instead..